For now, we humans are mostly on our own when it comes to that stuff. But did you know that if you’re learning English, robots are already here and ready to help? With chat robots, you can practice English every day without judgement and without depending on someone else’s schedule. These robots are your personal English learning assistants that you can take everywhere! We’ll show you five of our favorites below, including some chatbots designed for English learners and some that native English speakers use. …And in the meantime, maybe it’s a good thing that we don’t have robots for everything else. How Can a Chat Robot Help You Learn English? Personalized experience: In a classroom, you usually have to wait for your turn to speak and be corrected. You have limited chances to practice talking one-on-one with a teacher and get feedback on your pronunciation or grammar. But with a chat robot, you get personalized, individual English practice whenever you want it. Gamification and motivation: Many chat apps use gamification (fun features and rewards that make it feel like a game). For example, users win gems or badges after using the app for several consecutive days or after meeting a language goal. These features make the app fun to use, and when we’re having fun, we’re more motivated to keep learning. 24/7 availability: Whenever you feel like talking in English, even if it’s midnight, your chat robot will be there. You’ll get an instant answer to any question and can chat for hours on end. No judgment or embarrassment: Robots don’t judge. They don’t roll their eyes or shake their head when you make a mistake. Also, if it’s just you and a robot talking together without half of the class listening in, there’s no need to feel embarrassed if you use the wrong participle or pronounce a word incorrectly. Without the judgment and embarrassment, you’re more likely to ease into the conversation and keep practicing. 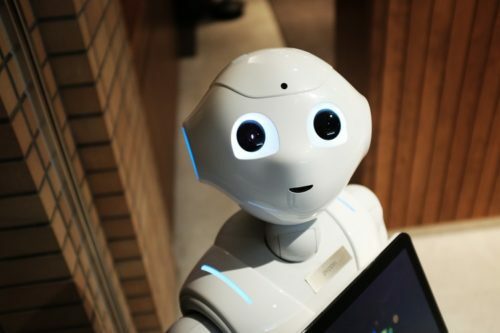 In this post, we’ll cover two basic types of robots you can practice English with. First are the chatbots created especially for language learners. They’re designed to teach you the language. Second are the authentic chatbots that native speakers use for a variety of tasks. These will help you practice using English in real-world situations. These chatbots are developed with Artificial Intelligence (AI). They can assess your English level and help you to learn faster. After a few conversations with you, the bot will form an overview of your English abilities and adjust conversations to your level. The more you practice and feed information into its memory, the better it’ll understand your strengths and weaknesses. Then it can provide customized lessons for you. It’s a great way to learn at your own level, pace and preferences. 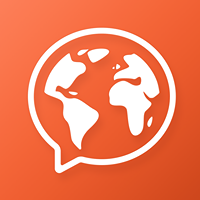 Mondly is a language learning solution with a web version and a mobile app. Their program comes with chatbots that you can communicate with in writing or by speaking into your phone/computer. When you have a conversation with the chatbot, you’re offered a few possible responses—they’re like hints if you don’t know how to respond to something the robot says. You can also hear the examples spoken in a male or female voice, which will teach you the pronunciation. You can pick the one you like the most, or go off-script and give your own answer by saying it or typing it into the chat window. When the chatbot fails to understand what you say, it’ll ask you to repeat. You can study either American or British English with Mondly. 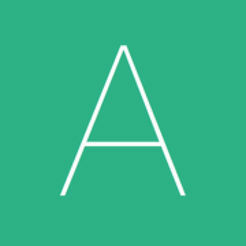 Andy is a chat app designed specifically for English conversation practice. The robot is part tutor, part friend. You can have a casual discussion or play language games with Andy. There are also options to learn English grammar and expand your vocabulary. English learners from beginner to advanced can find explanations for different grammatical rules. Once you pick a topic, Andy will give you a brief instruction and you can ask for further explanation. You also get tested at the end of each grammar lesson. If you make a mistake, Andy will tell you where you got it wrong. The app also corrects your errors when you’re chatting. When you opt for learning more words, Andy will give you the definitions of the words that you don’t know. You’ll also get examples of the words used in real-life contexts. If you just feel like having a chat, you can always do so. You can send Andy written messages and you can read or listen to the app’s responses. If you feel like learning more informally and casually, you can have fun chatting with an AI assistant. Many stores and services now have chatbots to help their customers with everyday tasks like planning dinners or shopping. When you chat with this kind of robot, the topics are highly relevant to specific fields: it could be a hobby of yours or a task you need to do. Besides, these assistants know a lot about their fields. They’re the English-speaking experts you might not be able to find easily otherwise. If you enjoy this type of authentic English learning, you should also check out FluentU. FluentU provides real-world English videos—like movie trailers, music videos, inspiring talks and more—that’ve been transformed into language learning experiences. Each video has interactive captions, flashcards and exercises to teach you new words while you watch. The videos are organized by genre and learning level, so it’s easy to learn with content that interests you. Just like the chat robots below, you can take FluentU anywhere with the mobile app for iOS or for Android. 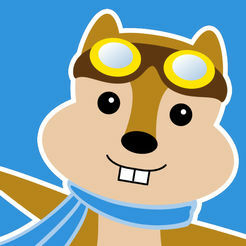 Hipmunk is an online travel company offering travelers information about flights, hotels, car rentals and so on. They also have AI-powered chatbot assistants that users can reach on Facebook Messenger, Slack, Skype and email. You can ask the virtual travel planning assistant, called Hello Hipmunk, all kinds of travel questions, like “what is the cheapest flight from New York to San Francisco during the first week of March?” Even if you’re not currently planning a vacation, this is a fun way to practice forming questions in English. If Hipmunk has no problem understanding you, you’re on the right track! You can also just let Hello Hipmunk know about your intention to travel and the bot will suggest options for you. If you need to learn English essentials like place names, dates or numbers, this is a great tool to check your knowledge gaps. You might even get inspired to travel to an English-speaking region! If you want to practice conversational English on a daily basis, you can try the virtual assistant available on your smart devices. If you have an iPhone, you can chat with Siri. With an Android phone, you have Google Assistant who’ll assist you with your everyday questions. You can ask Siri or Google Assistant everything including the time of the last train to the nearest city, or the size of the largest planet in our solar system. Whatever topic you want to ask about, you can. You can also make requests, such as asking Siri to set a reminder in 30 minutes. This means you’ll be improving your knowledge of all sorts of sentence structures. You use voice to talk to Siri and Google. That requires the ability to speak clearly. If you don’t, they won’t understand you. It’s a great way to check if you can pronounce a word correctly or if the way you form a sentence makes sense without any context-based cues. When you chat with a person, you can use facial expressions, hand gestures and objects around you to help make your meaning clearer. With Siri and Google Assistant, you can’t rely on those hints. That gives you the potential to improve your speaking tremendously. 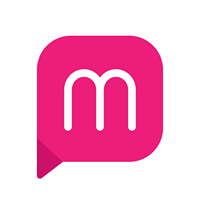 Mona is a virtual shopping assistant who searches different stores online and finds products that meet your criteria. You can tell Mona your preferences regarding product type, style, budget and so on and she’ll help you to look for the best option. You can communicate with Mona through written messages. She’ll ask you questions and give you a lot of information through menus and messages, so it’s great to practice reading and responding. You’ll learn important everyday English nouns, as well as key words for the fashion industry. Downloads from the U.S. iTunes store seem to be on hold but you can stay up-to-date and learn more via the Mona blog. A few years ago, the idea of chatting with a robot to learn English might’ve sounded surreal, but that’s no longer the case. With advances in Artificial Intelligence, you can have interesting and fruitful conversations with a robot to improve your English. From language learning chatbots to virtual assistants that come with your phone, you can learn to speak better English, improve your grammar, expand your vocabulary and have a lot of fun.